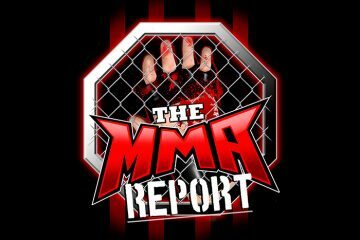 This week on The MMA Report Podcast, Jason Floyd and Daniel Galvan discuss what happened on Tuesday in Las Vegas during the monthly Nevada Athletic Commission hearing. Following their discussion about the craziness of that meeting, you will hear Jason’s conversations with UFC 234 fighters Devonte Smith and Ricky Simon. 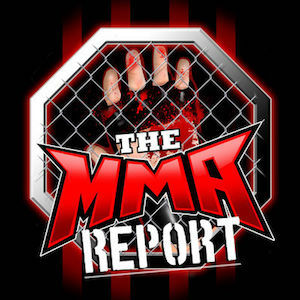 Upon the conclusion of those interviews, Jason and Daniel give their thoughts on what happened last weekend at Bellator 214 and wrap up this week’s podcast by previewing Saturday’s UFC Fight Night card on ESPN+. True or false… Bellator and ONE will sign at least 2 top 10 fighters each this year? Overeem will test free agency this year with 1 fight remaining on his contract? Hunt will sign with ONE? Barnett and Belfort will sign with Bellator? ACA will buy Fight Nights Global? Bellator will be on a different network before the end of the year? Bellator will be on Pluto TV now that Viacom has bought them? UFC will decide to do less PPV’s next year? I suggest 5 major PPV’s. We will see more MMA trades this year? Bellator will be on a different network before the end of the year? If you listen to my podcast earlier this month, I discussed my answer to this. 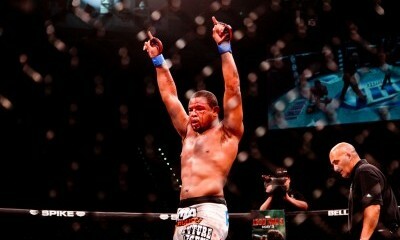 The reason why I said ACA will buy Fight Nights Global is because they are in talks with them to buy them out. Brock Lesnar has couple more dates with WWE. After that he is going to have talks with WWE, UFC, and AEW. Do you think Dazn will join the talks too? I think they should. The fact that Brock is still in the USADA testing pool tells me that he plans to fight in the UFC. In terms of DAZN, the question is what would they get out of Brock. In terms of AEW and since I don’t follow professional wrestling, I do not know the answer. But do they have enough cash flow and investors to bring in a high price talent like Brock? Dazn has the money and it would bring them a lot of new subscribers. 10 bucks a month for brock fights vs 70 bucks. If Dazn throws a ton of money at him to fight in Bellator for 2 or 3 fights. With one of the fights being on PPV. They’d make a lot of money. DAZN is making a play for GGG, but the next step for DAZN will be spending major money for traditional sports rights over the next couple of years. When I said Bellator could be on Pluto TV. I meant along with lets say FS1 or FX/ Dazn. Or maybe a deal with Twitch? As I said earlier this month on the podcast and have stated multiple times before, Bellator and Paramount Network are not a fit on what each side is trying to accomplish. I would be surprised if Bellator is still airing on Paramount by the end of 2019. If I was in Bellator management, I would be trying to move our television package to FS1. I believe it could help with branding Bellator and reaching people they may not be currently reaching.